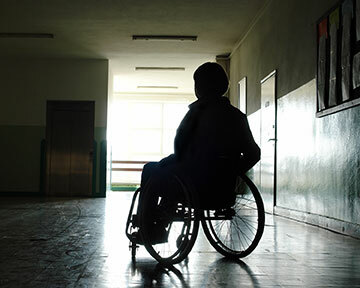 A situation where a child, adult with disabilities, or person who is elderly faces an immediate risk of abuse or neglect that could result in death or serious harm. "All We Wanted to Do was to Take Care of Our Parents The Way They Took Care of Us......Look What They Did!" Families that care for their parents by placing them into the hands of nursing homes expect them to be treated with the dignity they deserve. Unfortunately, when the family is not around, sometimes the elderly are either mistreated or neglected. Obviously, when bed sores, otherwise known as decubitus bed sores, develop, the mal-treatment and negligence is readily apparent. But, nursing home malpractice is sometimes not so easily provable. Relying upon the history of an elderly parent that has dementia, pre-dementia or Alzheimer’s disease can also be frustrating. Hiring a skilled Houston nursing home abuse negligence lawyer is who you should turn to when you think a loved one has been mistreated. Most nursing homes try their best to hire loving, caring and patient employees but sometimes they drop the ball in the hiring process and a bad actor gets on the staff abuse can occur. When this happens, the company and the employee can be held liable. The Texas Department of Human Services regulates, licenses, and certifies nursing homes for Medicaid and Medicare. The TDHS also investigates abuse, exploitation and neglect in nursing facilities. Their toll-free hotline is (800) 458-9858. The Texas Attorney General investigates criminal matters in Texas. The toll free number is (800) 621-0508. If one suspects criminal abuse or neglect, one may also notify their local law enforcement agencies. Serving clients throughout Southeastern Texas, including Aldine, Baytown, Bellaire, Beaumont, Channelview, Cloverleaf, Conroe, Deer Park, Friendswood, Galena Park, Galveston, Hedwig Village, Highlands, Hilshire Village, Humble, Jacinto City, Katy, League City, Magnolia, Mission Bend, Missouri City, Pasadena, Pearland, Porter, Sealy, South Houston, Spring Valley, Stafford, The Meadows, The Woodlands, Waller, West University, and other communities in Fort Bend County, Harris County, and Montgomery County. Serving clients throughout Southeast Texas, including Alvin, Anahuac, Angleton, Atascocita, Austin, Baytown, Beaumont, Bellaire, Brookshire, Brownsville, Bunker Hill Village, Clear Lake, Channelview, Conroe, Corpus Christi, Dallas, Deer Park, Denton, El Lago, Friendswood, Galena Park, Galveston, Hedwig Village, Hempstead, Hilshire Village, Houston, Humble, Hunters Creek Village, Huntsville, Jacinto City, Jersey Village, Katy, La Porte, Laredo, League City, Liberty, Lubbock, Midland, Missouri City, Nassau Bay, Piney Point Village, Pasadena, Pearland, Plano, Richmond, Rosenberg, San Antonio, San Marcos, Seabrook, Shoreacres, South Houston, Southside Place, Spring, Spring Valley, Sugar Land, Taylor Lake Village, Texas City, Tomball, Waller, Webster, West University Place and The Woodlands, and other communities in Brazoria County, Chambers County, Fort Bend County, Galveston County, Harris County, Jefferson County, Liberty County, Montgomery County, Walker County, and Waller County.